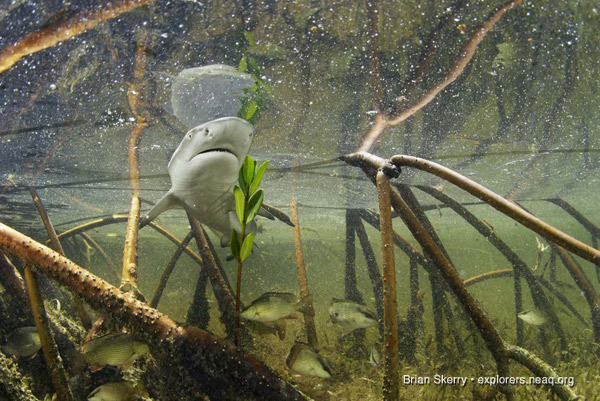 This is the third set in a series of shark and ray images by Brian Skerry, National Geographic photographer and the Aquarium's Explorer in Residence. 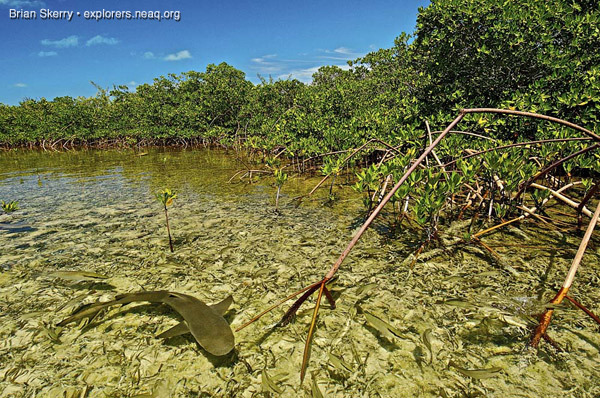 This post features the juvenile lemon sharks (Negaprion brevirostris) in a mangrove habitat. 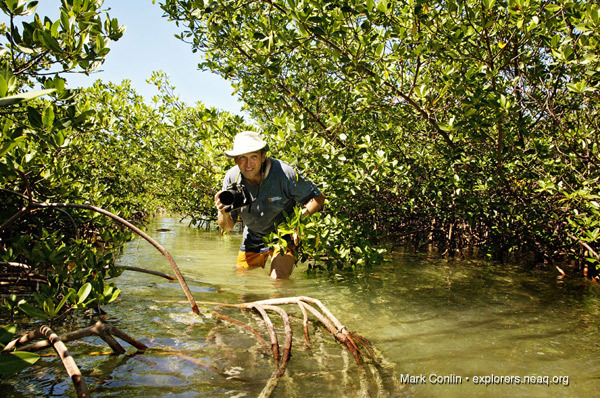 Sadly, we are rapidly losing our chances of seeing a shark in the wild, because they are vanishing at an alarming rate. Each year nearly 100 million sharks are killed, largely for their fins, which are used to make shark fin soup. Visitors to the Aquarium can experience what it's like to see sharks and rays up close in a new mangrove-themed exhibit, The Trust Family Foundation Shark and Ray Touch Tank.